Stainless Steel 410 Plates Supplier, SS 410 Cold Rolled Plate Exporter, Steel 410 Hot Rolled Plate Dealer. Marc Steel is a known manufacturer and distributor of SS 410 Plates, which are available in various dimensions and shapes as per the client’s requirements. Stainless Steel 410 Sheets are general-purpose martensitic stainless steels containing 11.5% chromium, which provide good corrosion resistance properties. However, the corrosion resistance of SS 410 Sheets can be further enhanced by a series of processes such as hardening, tempering and polishing. Stainless Steel 410 Plates SS 410 Coils (UNS S41000) is corrosion resistant to some chemicals, food, mild acids, water, and air. 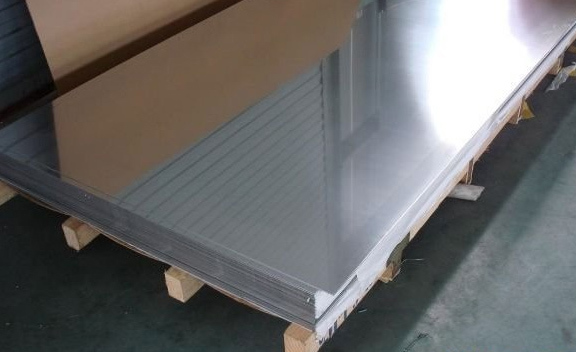 Buy 410 Stainless Steel Plates at affordable price from us. Stainless Steel 410 Coils also proves adequate resistance to nitric acid, concentrated sulfuric acid, dilute acetic acid and naphtha. Alloy 410 Plates (DIN 1.4006) is the basic martensitic stainless which will attain high mechanical properties after heat treatment. After heat treatment, as said Alloy 410 Sheets exhibits high mechanical properties, and thus it is magnetic in both hardened and annealed conditions. STAINLESS STEEL 410 HIGH QUALITY PLATES DISTRIBUTORS, STAINLESS STEEL 410 PLATE, 410 SS PLATES STOCKIST, UNS S41000 STAINLESS STEEL HR PLATE EXPORTER, SS DIN 1.4006 HOT ROLLED PLATES DEALER, SS 410 PLATE MANUFACTURER & SUPPLIERS. SS 410 HIGH QUALITY PLATES, 410 STEEL CR PLATES, LEADING MANUFACTURER OF STAINLESS STEEL 410 PLATES SUPPLIER, SS 410 CR PLATES EXPORTER, ASTM A240 SS 410 CHEQUERED PLATE STOCKHOLDER, SS 410 COLD ROLLED PLATE EXPORTER IN INDIA. Alloy 410 Coils is used for highly stressed parts with good corrosion resistance and strength. Applications requiring moderate corrosion resistance and high mechanical properties are ideal for these Grade 410 Stainless Steel Sheets. Meanwhile, typical uses of Grade 410 Stainless Steel Coils include flat springs, knives, kitchen utensils and hand tools. 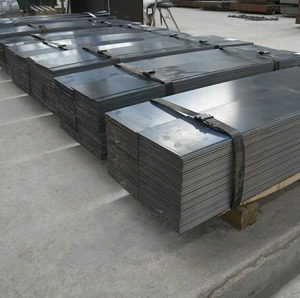 Type 410 Steel Plates has a moderate ability to be formed and drawn into other shapes. Type 410 Steel Sheets will usually exhibit hardness, yield strength, and tensile strength that are low enough for fine blanking purposes. Type 410 Steel Coils has good corrosion resistance to atmospheric corrosion, potable water, and to mildly corrosive environments. Chile, Tibet, Gabon, Colombia, Slovakia, Kenya, Argentina, Angola, Bolivia, Libya, Trinidad & Tobago,Tunisia, Hungary, Ghana, Netherlands, India, Afghanistan, Kazakhstan, Romania, Nepal, Germany, Vietnam, Spain, Indonesia, Ecuador, Nigeria, United Arab Emirates, Bulgaria, Pakistan, Ireland, Saudi Arabia, Zimbabwe, Poland, Morocco, Switzerland, Estonia, Ukraine, Norway, Kuwait, Iraq, Australia, Italy, Peru, Bangladesh, Mongolia, Qatar, Algeria, Macau, Turkey, Chile, Sri Lanka, Bhutan, United Kingdom, Nigeria, Singapore, Philippines, Lithuania, Austria, Russia, Croatia, Hong Kong, South Korea, Mexico, Canada, Israel, Yemen, Egypt, Finland, Poland, Puerto Rico, Japan, Azerbaijan, Iran, Czech Republic, Costa Rica, United States, South Africa, New Zealand, Sweden, Denmark, Brazil, Jordan, Taiwan, China, France, Lebanon, Gambia, Portugal, Belarus, Malaysia, Belgium, Venezuela, Greece, Mexico, Oman, Iran, Thailand, Namibia, Serbia, Bahrain. Moscow, Vadodara, Indore, Geoje-si, Singapore, Ankara, Melbourne, Lahore, Coimbatore, Tehran, Jeddah, New York, Ernakulam, Surat, Riyadh, Ludhiana, Granada, Brisbane, Visakhapatnam, New Delhi, Nagpur, Aberdeen, Los Angeles, Bhopal, Colombo, Kuala Lumpur, Dubai, Thiruvananthapuram, Howrah, Mexico City, Kanpur, Chiyoda, Ho Chi Minh City, Busan, Bangkok, Caracas, Ahvaz, Bogota, Gimhae-si, Sharjah, Muscat, Dammam, Edmonton, Mumbai, Noida, Courbevoie, Hong Kong, Kolkata, Vung Tau, Karachi, Pimpri-Chinchwad, Faridabad, Sydney, Navi Mumbai, Montreal, Dallas, Bengaluru, Al Jubail, Abu Dhabi, London, Kuwait City, Santiago, Ranchi, Rajkot, La Victoria, Ulsan, Haryana, Hanoi, Jaipur, Secunderabad, Chennai, Jamshedpur, Algiers, Perth, Manama, Calgary, Doha, Thane, Nashik, Lagos, Seoul, Ahmedabad, Port-of-Spain, Pune, Cairo, Gurgaon, Hyderabad, Houston, Toronto, Atyrau, Baroda, Petaling Jaya, Jakarta, Milan, Al Khobar, Rio de Janeiro, Istanbul, Madrid, Chandigarh.